How many times have you, the church sound system operator, heard the complaint that, “the music is too loud,” only to turn around and hear someone else say, “I can’t hear anything.” Sometimes it is simply written off as the differences in people’s hearing ability and personal tastes, so the complaints are ignored. But what if it’s something else? What if they’re both right? When designing a sound system, the focus is often given to the main house system- proper coverage, adequate SPL and intelligibility, etc. But when the monitor system overpowers the main mix because it has to be loud enough for everyone on stage, even the best house systems can sound muddy. So what happens? You turn the main system up to overcome the monitors. Pretty soon your house mix is too loud so you have to turn it down, but intelligibility is still hanging in the balance, not to mention potential for feedback. The “crank it up” philosophy may be tolerable for a rock concert, but not for a worship environment. Have you ever tried shutting off the main system and only running the monitors during worship practice? How much sound is coming from the stage? It’s surprising, isn’t it? Well, really it shouldn’t surprise us at all. Think about it. There are often 3 or 4 times as many loudspeakers on the stage as there are in the main system- each of them competing with the other for the perfect mix catering to one person or group on stage, only to be drowned out by the drums or someone else’s mix. The worship team member gives the monitor mix person the signal to turn him/her up, and that person’s mix affects the person next to them, and so on. More volume is not always the answer to low audibility. How many designers actually model the stage monitor system and factor that into the main system design? Why isn’t this done more often? Well, for starters, it’s very difficult to simulate a monitor mix if it’s going to change every week- different configurations, each location with a slightly different mix. Most churches want the monitor configuration to be as flexible as possible to meet changing demands. So the designer makes sure there are adequate connections and specifies a good quality monitor speaker (usually a 12″ or 15″ floor wedge). Often, there is an existing hodgepodge of monitor speakers thrown in from the previous facility, consisting of everything from bulky 15″ 2-way floor wedges left over from a 70’s era rock band, to gravelly-sounding hotspots. Turn off the mains, and suddenly your monitor system sounds like a garage band practice session. The bottom line is that sound quality and fidelity in the monitor system is at best a secondary consideration, and at worst an elusive fantasy. Most of the sound produced by the inefficient floor monitors ends up washing out the stage, bouncing off the walls and ceiling, muddying up the mix, and making it difficult to hear anything, even though the sound level is high enough to send the older generations into fits. This problem is often embodied in the frustrations of the worship team who can never seem to get a good mix on stage. 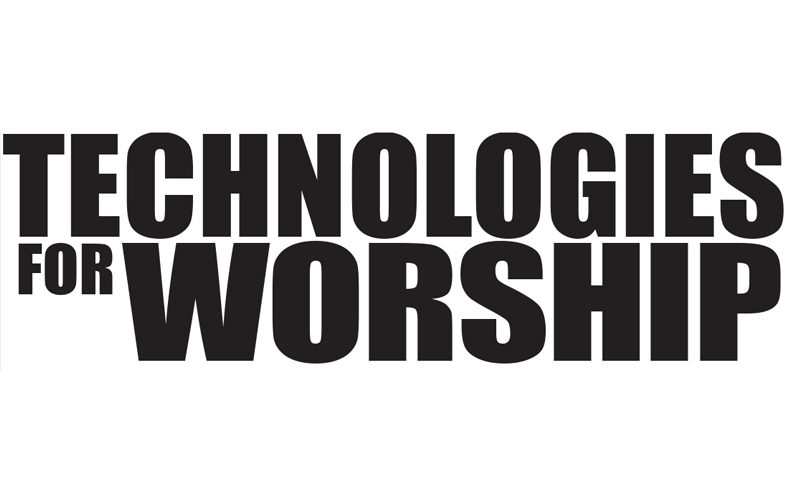 This affects the attitude of the worship team, and ultimately the mood of worship. Is it really the monitor mix, or is it the conglomeration of poor-sounding, high SPL equipment being utilized on stage? Consider donating your old floor wedges and hotspots to needy garage bands and invest in some small, high fidelity speakers. Believe it or not, you don’t need big speakers to get big sound. Coaxial 8″ speakers are a good choice, because they have a low profile and still provide a respectable frequency response. Use your big powered 15’s for side-fill if you need more presence, but leave the on-stage mix to the little guys. And leave the “thump-factor” to the main system. In many cases the low-end from your main system will provide enough thump for the stage as well. There are a good number of speaker manufacturers that pack a lot of sound into a small box. 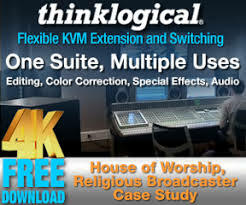 The general idea is to get more direction control out of your monitors and bring them closer to the users, so that the majority of the sound gets to the respective worship team member, and not to the audience. On the other hand, if you get a floor monitor that is too directional, it’s easy to walk out of the pattern of the speaker, so choose the right speaker for the application. I would suggest a low-profile dual 8″ wide-dispersion floor wedge or a coaxial 12″ for the front of the stage where the action is, and then use 8″ coaxial speakers for the stationary members. Get the monitors as close to the user as possible. The advantage of smaller speakers is that they can provide good near-field coverage and sound quality. That way you don’t have to turn them up as high, so they don’t compete as much with each other, or more importantly, with the main system. The other advantage to small monitors is that they don’t take up as much room, so they can be placed in different locations (e.g. floor, stand mount, shelf, etc.) and can easily hide, or at least not look as obtrusive. Another important aspect to stage design is placement and organization of the worship team. 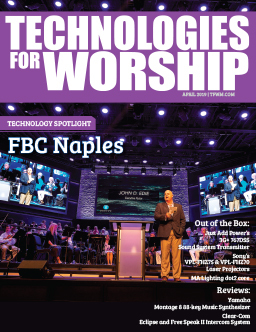 An experienced worship team leader will likely have an established preference to where he/she likes to place the band, backup vocals and choir/orchestra. This is often based on sightlines and proper balance on stage – not always on what sounds good to the team. Try to organize the team members in such a way that they can hear at least 75% of the mix they need without the monitors. Then just use the monitors to add a little balance to the acoustic mix. Don’t force yourself into a situation that requires you to use the monitors to overcome another member of the team (e.g. move the vocals away from the drums). Do what you can to create a balance acoustically, without reinforcement, and then pick up the slack with the sound system. Granted, it may require a little trial-and-error experimentation. Here’s where some well-placed acoustical treatment can really help. If someone is always asking for more of the piano in their monitor, but the piano is already too loud, try to locate that person closer to the piano and put some acoustical absorption on the adjacent walls. If the drums are controlling the monitor mix, then either partially or fully enclose the drums with plexi-glass or, try some good electronic drums. If you have a good-sized band or orchestra that wants to hear itself better, or get a better “presence,” try using portable gobos or reflective panels behind and slightly above. Treat the walls behind the stage with fiberglass acoustical panels to reduce reflected sound from instruments and monitors. Play around with it. Experiment. Try to get the reinforcement you need through physics and then design your monitor system to complement. Every church building and worship team presents its own set of challenges, and it may take a few practice sessions to get it right. But with a little patience and an open mind you can help create a pleasant worship environment. If you need help creating an acoustically beneficial stage environment using sound control products, I would encourage you to get some advice from an experienced acoustician. It will probably save you some trial steps and avoid some pitfalls.